Donuts Drift APK for Android/iOS Download - Feel the drift addiction! Home / Games / Donuts Drift: Feel the drift addiction! Should you play Donuts Drift? Voodoo has always received a lot of love from the players. Voodoo’s products have always been characterized by simplicity and unique, unlike any other game on the market. In particular, these games are often very interesting. I can play all day without being bored. After the success of the game as Helix Jump, Car Merger recently, this publisher has just released a new product called Donuts Drift. As usual, I will review the game for you to help you quickly download and enjoy this game. Donut is a technical type of driving. You have to use your car drift 360 degrees in a circle, donut-like orbit. This is a more advanced drift technique, requiring your car to have a floor number of the car, the suitable tire, and a safety training yard. These techniques are often difficult. You need to practice a lot to be master rather than a short time. However, that is real life. And in Donuts Drift, things are not so hard. The game will help you become a professional driver who possesses superior driving techniques. Like other Voodoo games, Donuts Drift has no specific storyline. In the game, your main task is simply to control the car as far as possible. However, you will not have to go straight lines. You have to do Donut technique continuously. The road in the game has circles, you must use the Donut technique in that circle. If your car drifts out of the circle limit, you fail. The game has Endless gameplay. Donuts Drift limits time each play. When you run out of time, you lose. 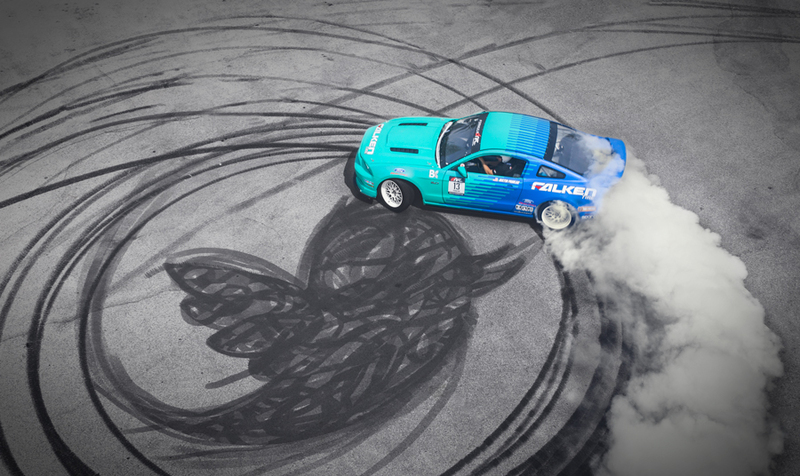 When you donut drift, you will be given extra time. Going forward, you will set the record scores. Also, do not forget to collect the black dots. The more black dots, the more time you have. In particular, when you reach the achievements of the game, you can upgrade your car more modern. The game’s control mechanism is relatively simple. The car goes ahead automatically, you just control the car to Left or Right to drift. Simple but not easy. When I first played, I was very difficult to control the car at will. Although I have played for a while, losing in the first round is not uncommon. Of course, that is what makes it interesting. Each time you lose, you will feel inhibited, and want to play one more game, one more game. Donuts Drift has high-quality graphics. The physical movement of the car is very real, you can feel it during the game experience. The design is relatively simple but extremely fun and subtle. Sounds also interact well with the game. You can enjoy up to 45 exciting songs while playing this game. One thing that is common in Voodoo games is ads. This is often annoying for players. However, Donuts Drift ads only take seconds, not too long as other ads. The game is free, so this is perfectly acceptable. Donuts Drift APK is ready to download! Depending on your needs, you can download Donuts Drift MOD APK or Donuts Drift Original APK. Or install from Google Play / App Store if you want.